Our portfolio company ReadCube has got exciting new to share! Following a successful trial that began in early 2017, Wiley has extended Content Sharing across its portfolio (1,700+ titles). 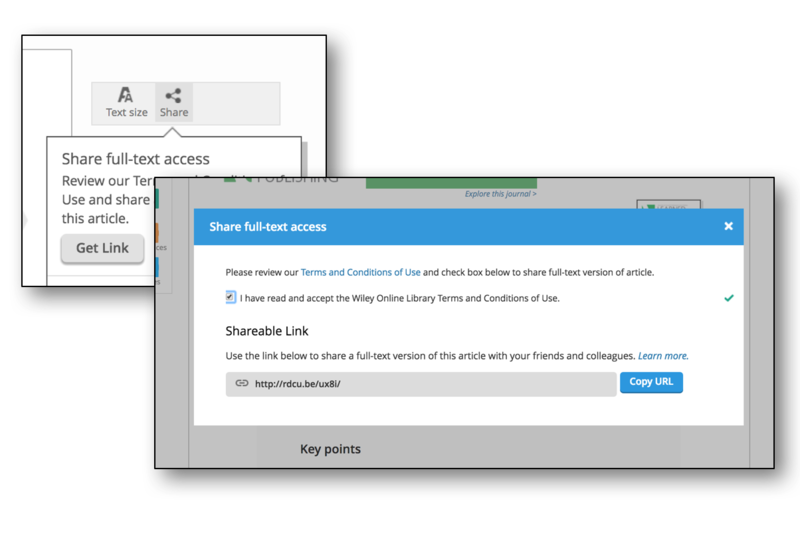 Powered by ReadCube technology, Wiley Content Sharing enables authors and subscribers to generate links that provide access to free-to-read full-text articles. These links can be used over social media, scholarly collaboration networks and email. In addition, Wiley Content Sharing provides the public with greater access to research when linking from selected media outlets globally including The Daily Mail, The Wall Street Journal and Reuters, Medscape, Nature and ScienceMag. As you can expect, team ReadCube are thrilled to be part of this expanded initiative that supports both readers and authors alike. Wiley’s ongoing efforts to find new channels to improve accessibility, discoverability, and connectivity of what is often a diverse research landscape, affirm their position as an industry innovator as well as an exciting development partner. You can read the official release over on the ReadCube blog.